Thanks for stopping by! Contact us to schedule an estimate now and enjoy the many benefits that a professional paving company can bring to your property. Need more than just paving? We offer a number of services for both residential as well as commercial customers. We just paved you a nice new driveway. You've never had new asphalt before. What now? How do you care for it? What happens if I spill solvents on it? Read on for extremely useful tips for having that nice, new driveway be the best it can be. No job is too big or small for us at Wellman. The video here is about a minute long and is a great introduciton to Wellman Paving. Thanks for viewing! What are you waiting for? Get in touch with us today to schedule your free estimate! At Wellman, "Quality is our business." Wellman Paving, Inc. is a family owned construction company. 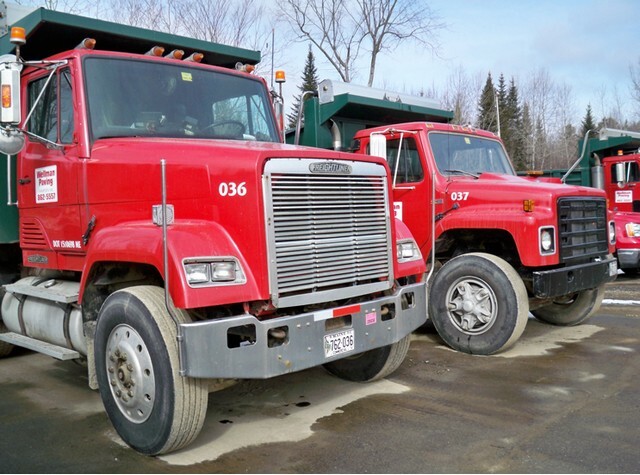 Purchased in 2005 from the original “Wellman” owner, we have grown to offer a wide variety of services: commercial and residential paving, asphalt grinding, roadway grading, excavation, trucking and more! With our equipment and experienced personnel no job is too big or small! Estimate Form Not sure where to begin? Fill out our estimate from and we'll start the process.